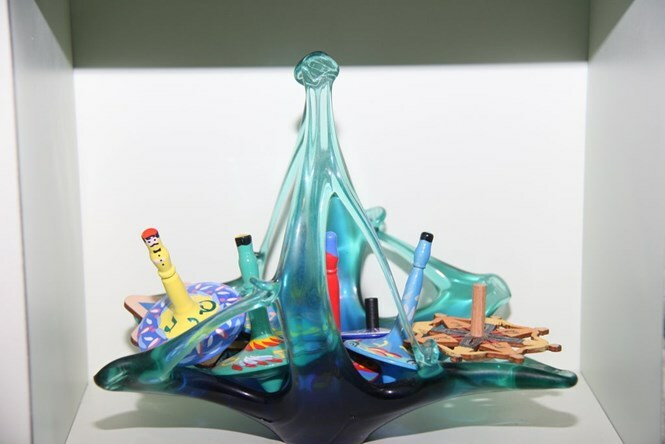 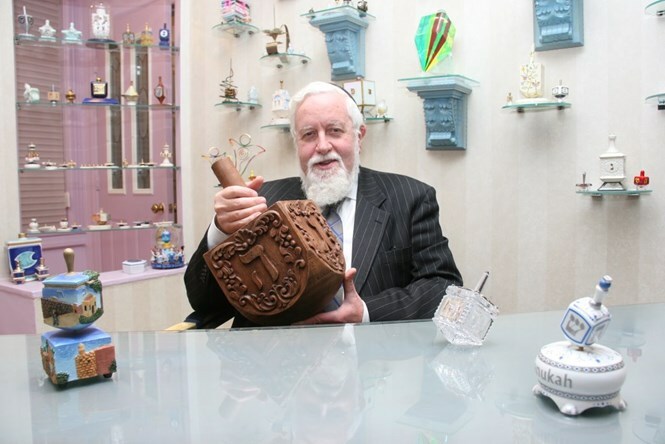 Rabbi Dr. Eliyahu Safran shares another look at one of loveliest and largest dreidel collections in the world with Arutz Sheva's readers. 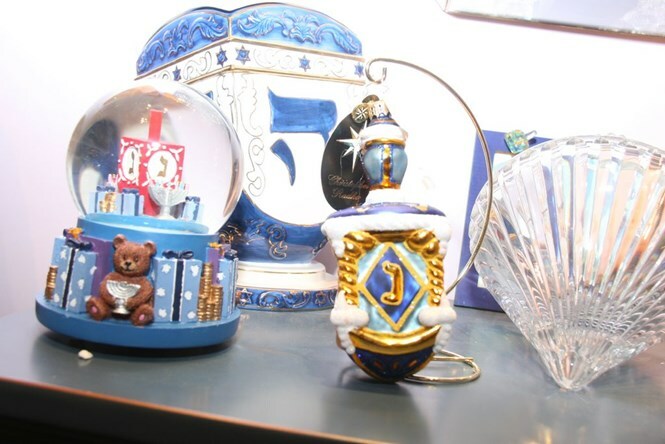 Holidays bring out all the color and joy that a culture can produce and among Jews the eight-day celebration of the Festival of Lights is especially exciting with its nightly candelabra, games for the children, special foods for the family, and works of art that symbolize the season. 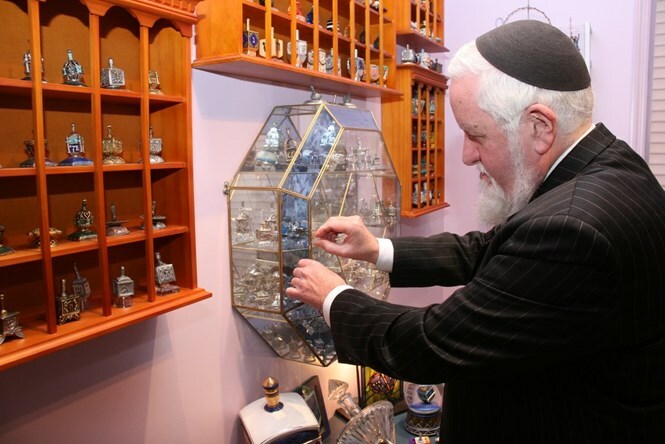 All Israel news photos courtesy of Shimon Gifter. 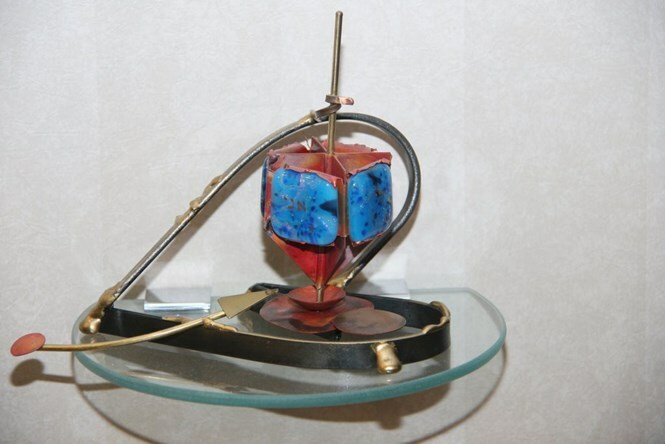 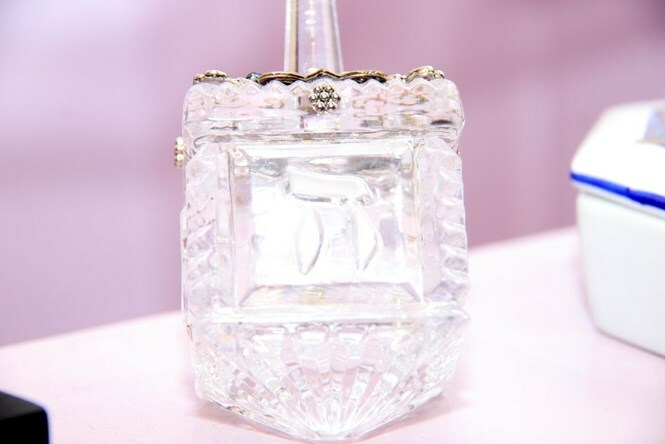 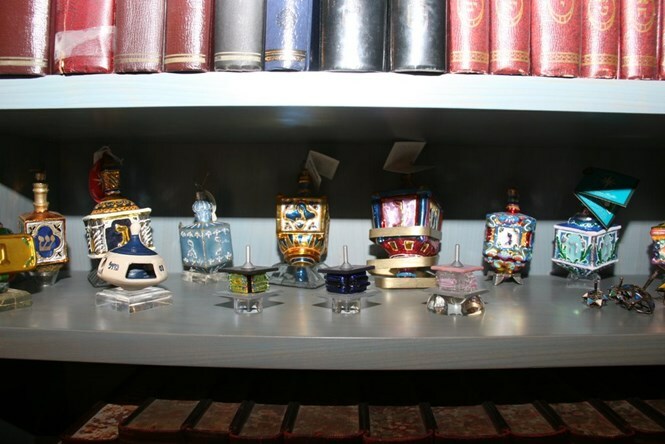 Rabbi Dr. Eliyahu Safran, Vice President of Communications and Marketing at the Orthodox Union (OU) Kashrut Division has once again allowed Arutz Sheva the privilege of a peek at one of the loveliest and largest private collections of Chanukah dreidels, as they are called in Yiddish, in the world. 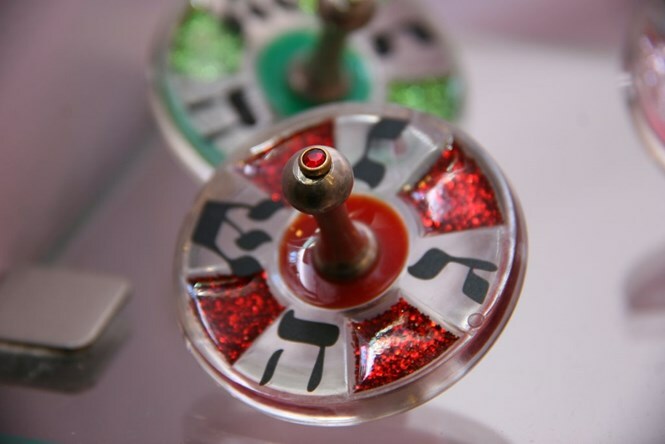 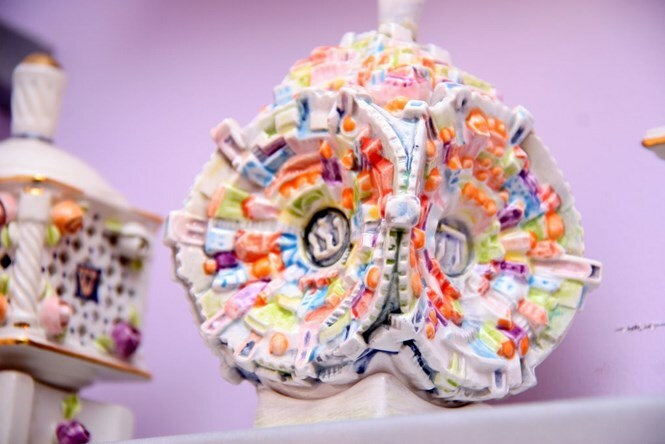 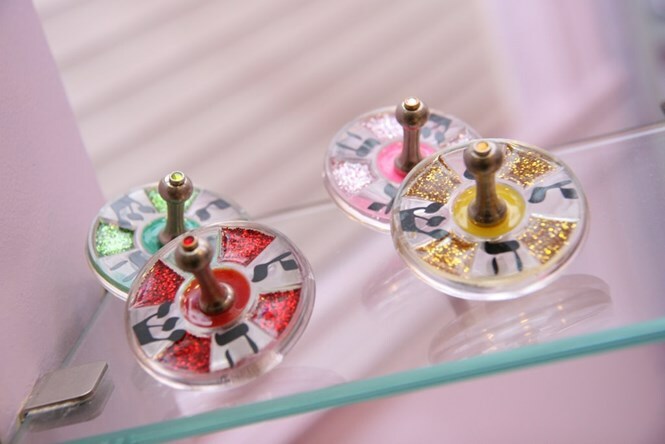 The spinning tops are shaped with four sides, each bearing a Hebrew letter, nun, gimel, hey, and shin, which stands for the phrase, "Ness gadol haya sham" -- "A great miracle happened there." 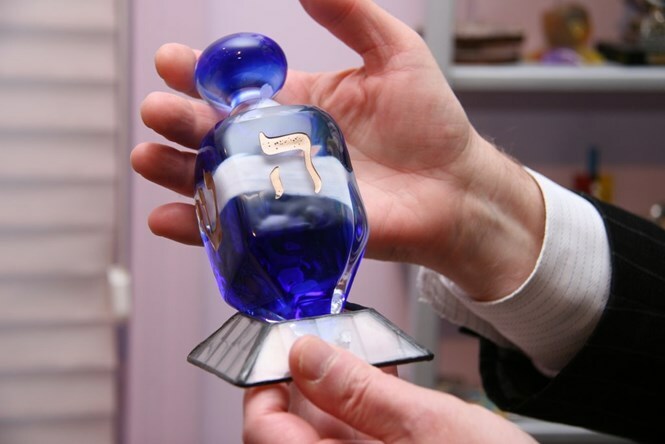 In Israel, the shin is replaced with the letter pey, and the phrase is, "Ness gadol haya poh," standing for, "A great miracle happened here." 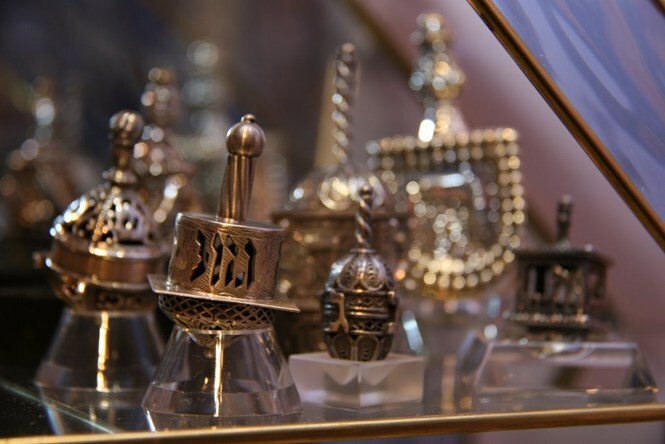 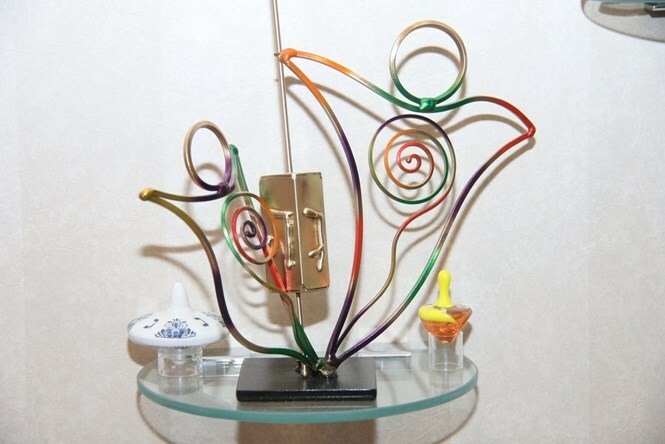 The dreidel is used during the holiday to play a game in which children (or adults!) 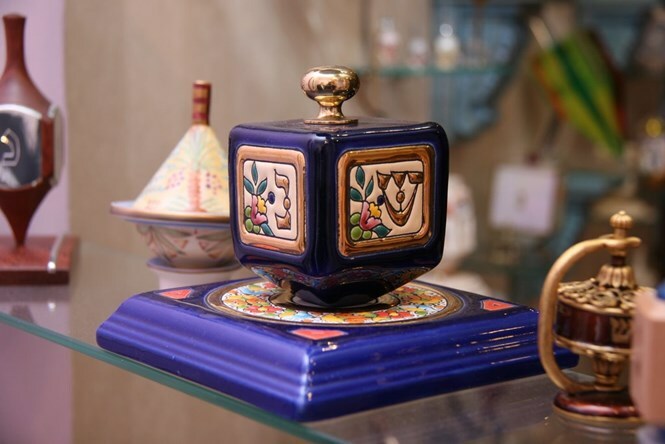 gamble for nuts, chocolate chips, raisins or small change. 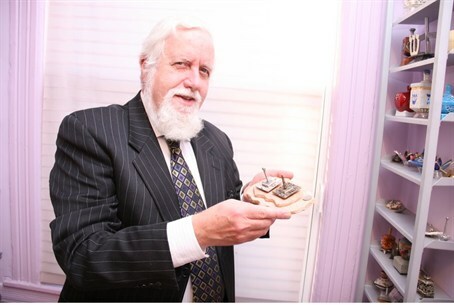 Rabbi Safran, who holds a doctorate in administration from Yeshiva University, has written numerous books, including "Meditations at Sixty: One Person, Under God, Indivisible" by the KTAV Publishing House, and "Kos Eliyahu -- Insights into the Haggadah and Pesach" which has been translated into Hebrew and published by Mosad HaRav Kook in Jerusalem. 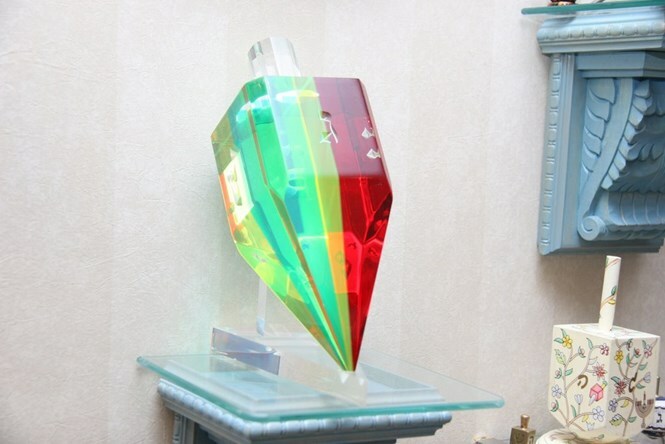 Who could resist bright colored crystal?